We provide premium quality IBM X3650 M2 Refurbished Data Server to clients at budget friendly market prices for use in various applications. With the help of our expert team members, we have been able to offer a wide range of IBM Server System. We are authorized partners for IBM & HP. a range of IBM Server. We supply & install IBM HP, Tower, Rack & Blade Servers. We also integrate storage area network (SAN) & Network attached storage (NAS) customised solutions as per customers requirements. 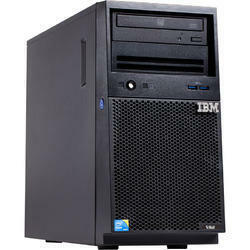 Considering the needs of our patrons, we are indulged in offering IBM Tower Server. We are the leading supplier and trader of IBM Server. A choice of blade servers including those IBM Blade HS21 Server processors allow you to run diverse workloads within one blade architecture. An integrated server I/O portfolio based on open technology provides a comprehensive set of interconnects and smart management tools to help you run your business. We are involved in providing a wide collection of IBM Server These products are available in all gentle color combinations and standard sizes. Xcel Office Equipments India Pvt. Ltd. 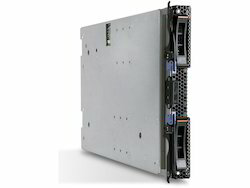 The IBM Server Series 226 (x226) provides affordable two-way performance with Intel Extended Memory 64T using the IBM Extended Design Architecture initiative. It offers increased availability with integrated RAID 0 or 1, and a choice of hot swap SCSI or simple-swap Serial ATA drives. A server computer is a computer, or series of computers, that link other computers or electronic devices together. They often provide essential services across a network, either to private users inside a large organization or to public users via the internet. We are amid the most noteworthy names engaged in offering to our clienteles an extensive collection of IBM Server.